Are you looking for a brand new home? 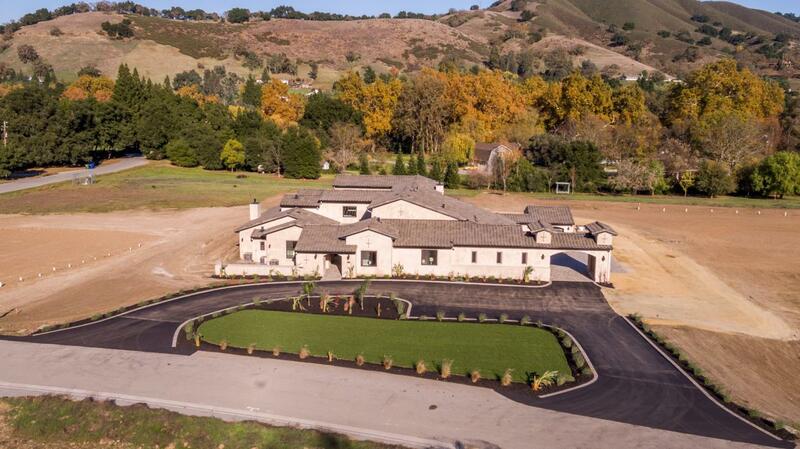 Check out this STUNNING residence in Gilroy! Set on over 2 acres with views of the hills on the border where Gilroy/Morgan Hill/San Martin meet, this 4760SF luxury residence has 5 bedrooms and 4 1/2 baths with 2000 SF of courtyards and patio spaces for the ultimate in outdoor living. This new residence features an impressive 18′ foyer and the central courtyard has 5 Anderson French doors leading to all areas of the home. The Master bedroom retreat has fireplace with private patio, walk-in closet, and his & her shower with soaking tub. The kitchen has 18′ ceiling with beautiful cabinetry, granite counters, and high-end appliances. Bedroom 5 is set up as a perfect private in-law quarters on the east wing of house, also with patio access. The Family, Dining, & Living Rooms all have 18′ ceilings and direct patio access. All of the outdoor areas offer unlimited possibilities with custom fire pits! Auto enthusiasts will love the 1705 sqft four-car garage with shop area. Call me today at 408-621-4792 to learn more about this exclusive property or set up a private showing!